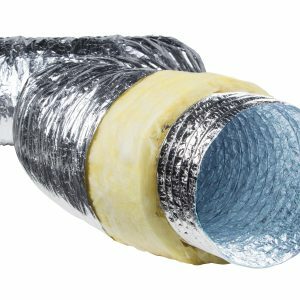 Offering a more cost-effective and flexible alternative than silencers, Acoustic Ducting is used to reduce the noise made by ventilation fans in growrooms and industrial areas. 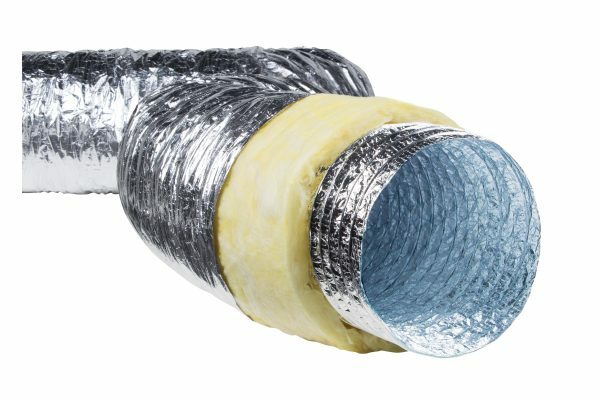 It’s made from a perforated inner core that’s identical to our Standard Ducting but with lots of small holes punched in it – this is then wrapped in a layer of glass-fibre and sealed by another layer of aluminium foil. As the air travels down the inner core the sound is let out through the holes into the glass-fibre, which deadens the sound. In practice it reduces the noise of a fan by around 60%-80%, and is almost always used with fans of 150mm and above although all sizes of fans benefit from it’s use. Very highly recommended – and now available in cost effective 5 metre boxes.